Anxiety is an epidemic in our modern world. But studies now show there is a direct link between anxiety and how you respond to emotions. The Logic of Emotion provides a groundbreaking, step-by-step guide for managing the thoughts and feelings that cause anxiety, worry, fear, and panic. Are your emotions causing you anxiety? Emotions can be quite beneficial-they help us communicate with others, and are deeply connected to special and important memories in our lives. But sometimes, emotions can have unwanted consequences, especially when they cause us fear or anxiety. Studies now show a direct link between emotion regulation and anxiety. Based in the latest research from a Yale University psychologist and professor, the simple yet powerful mindfulness tips in this book will help you stay calm, collected, and make significant improvements in your everyday life, whether at work, at home, or in your relationships. 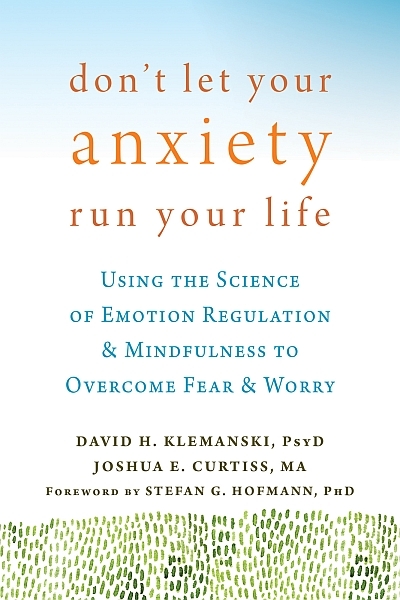 This is the first book to present an integrated model of mindfulness and emotion regulation-both clinically proven for reducing anxiety symptoms. Using these easy mindfulness practices, you'll learn to manage your emotions and lessen your anxiety, leading to improvements in your social life, work obligations, and family responsibilities. David H. Klemanski, PsyD , is a psychologist and professor at Yale University and Director of the Yale Center for Anxiety and Mood Disorders and Yale Anxiety and Emotion Lab. He specializes in the treatment of anxiety and mood disorders and his research is focused on mindfulness and emotion regulation in anxiety and depression. Joshua E. Curtiss, MA , is a doctoral researcher at Boston University and conducts psychology research at Yale University as a statistician. His interests include the use of innovative statistical modeling to address issues pertaining to the nosology of emotional disorders. Specifically, his research delineates emotion regulation deficits underlying anxiety disorders.